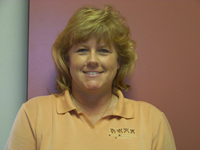 Sally is a licensed physical therapist and the owner of Sports Rehabilitation Consultants Physical Therapy (SRC). After earning a B.S. in physical therapy from Ohio State University Sally began her physical therapy career at St. Alexis Hospital in Cleveland and Sports Medicine Associates at Lutheran Hospital. In 1993 Sally opened Sports Rehabilitation Consultants Physical Therapy in North Royalton, her first private practice outpatient clinic that specializes in orthopedics, sports injury rehabilitation and aquatic therapy. Sally also oversees and manages several physical therapy contract offices in Garfield Heights., Parma, Mentor, Medina, Montrose, Barberton, Green, Hudson & Wadsworth. As Director of SRC's administrative team, Sally oversees all operations including the development and implementation of SRC’s community outreach & injury prevention programs..
Sally believes in “giving back to the community and doing all we can to keep area residents healthy & safe. We also provide support to area schools and colleges through sponsorships, shadowing & internship opportunities at our clinic. Sports Rehabilitation Consultants Physical Therapy is very proud of the annual SRC Education Scholarship we award to qualifying North Royalton High School graduate students and our "Athletes of the Month" sponsorship highlighting outstanding North Royalton High School athletes. 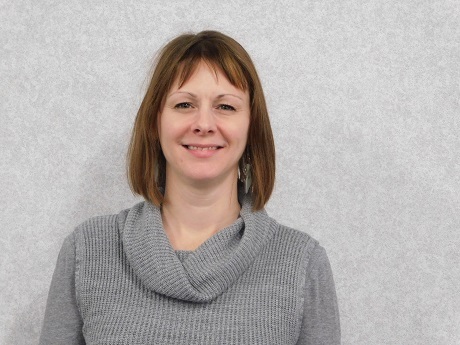 As an avid supporter of the North Royalton school district, Sally has served on several school committees, co-sponsors the North Royalton Health, Wellness & Community Expo with the schools & City of North Royalton and is an active committee member with the Partnership for a Healthy North Royalton. 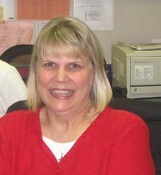 Sally is also a long-time member of the North Royalton Chamber of Commerce. We would like to introduce you to the Sports Rehabilitation Consultants Physical Therapy secretarial team. Beginning with your first phone call or visit to our clinic, SRC’s experienced and friendly front office secretarial team will greet you with respect and compassion. They will work with patients to confirm health insurance benefits, schedule appointments, handle billing questions and provide the patient's physician with physical therapy progress reports. Tim is a Physical Therapist and member of the administrative team. He has been with SRC since 2002. Tim received a BA in Biology at Mount Union College and went on to the University of Indianapolis where he earned his MA in physical Therapy. Tim’s special areas of interest include, but are not limited to sports orthopaedics, workplace injuries (FCE's), kinesio taping and manual therapy. Tim is a Back-to-Golf Trained Therapist, develops and implements SRC’s community outreach education & injury prevention programs for area coaches, athletes, senior citizens and businesses. Tim enjoys working in physical therapy because “we can make a positive impact on another person’s life. 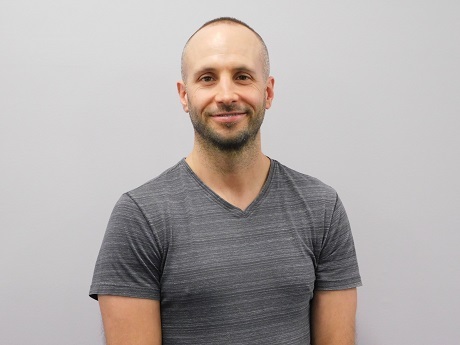 There are few professions that offer the internal rewards you receive from being a therapist.” Tim also enjoys posting helpful physical therapy information on SRC's social media connections including Facebook, Twitter & Instagram! When he is not at SRC you can find Tim at home with his wife Lisa and their amazing and daughters Ava and Bree. Timi is also an avid cyclist so you may see him biking through the Cuyahoga Valley or participating in a local sporting event. He also makes important time to enjoy assisting or coaching his daughters sports teams. Libby earned a BS in Physical Therapy from Ohio State University in 2000 with her primary focus in orthopaedics & sports. Libby began her physical therapy career working at facilities in Arizona, Oregon and then came back to Ohio where she started working at SRC in 2007. Her special interests continue to be in sports and orthopaedics with emphasis on the spine, upper and lower extremities. Her therapy treatments consist of correction of posture, therapeutic/functional exercise and manual therapy techniques specific to the techniques of Brian Mulligan, FNZSP (HON), Dip MT. Libby is dedicated to her patients and said she "loves being a part of the Sports Rehab Consultants family! It is such a positive, patient & community oriented clinic - and a constant learning environment! Our patients are REALLY great too!" Libby also helps to educate the public with important and interesting posts on SRC's social media connections including Facebook, Twitter and Instagram. In her off-time Libby enjoys spending time with her husband Josh and their adorable son Avett. Michelle joined Sports Rehab Consultants in June of 2017. Michelle attended the University of Buffalo where she received her Doctor of Physical Therapy degree. 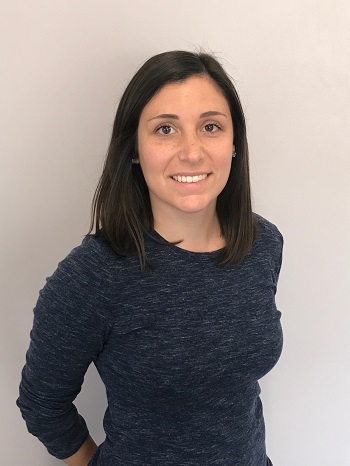 Michelle is an experienced physical therapist and specializes in orthopedic and Women's Health issues that include bowel incontinence, breast cancer, constipation, fibromyalgia, osteoporosis, pregnancy/post partum and urinary incontinence. 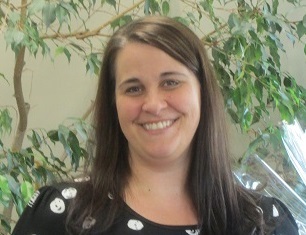 Michelle also treats male and females with pelvic pain conditions. Michelle has also helped SRC make vital connections by sharing helpful educational physical therapy info on SRC's social media connections including Facebook, Twitter and Instagram During Michelle's time away from SRC she enjoys spending time with her BFF Jonathan, friends, family and her dogs Mia, Brock & Chesney. 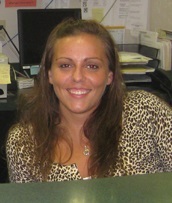 Michelle also plays soccer, competes in Olympic weight lifting events, loves hiking and of course visiting the dog park. 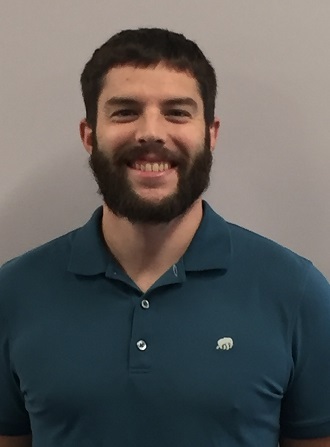 Jonathan earned a Bachelor's Degree in Exercise Science and Doctorate of Physical Therapy (DPT) from the University of Buffalo before joining the SRC Physical Therapy Team in February 2017. Jonathan specializes in orthopaedics with emphasis on McKenzie Maitland treatment techniques. An avid sports enthusiast Jonathan spends his free time enjoying the great outdoors while camping; hiking, kayaking and walking his three dogs Mia, Brock and Chesney with his BFF Michelle. He currently plays rugby and is a member of the Cleveland Crusaders and also enjoys playing golf, tennis, football, baseball and basketball!! Jonathan wants patients and anyone in need of high quality and affordable care to give our office a call. "Here at SRC our goal as a team is to get patients back on their feet and ready to resume enjoying their normal daily activities!" Chris began his physical therapy career with Sports Rehabilitation Consultants Physical Therapy in 2008. Chris earned his BS for Exercise Science from the University of Toledo in 1995. He then earned his Associate of Applied Science degree in Physical Therapy Assisting Technology in 2008 from Cuyahoga Community College. Chris’ special experience and interests include: Back-to-Golf Trained Specialist; Aquatic Therapy, Thoracic and Rib MOBS. Chris enjoys working with patients of all ages and helping them rehabilitate from sports injuries, orthopaedic surgery, back and joint pain issues! Christine works with Sally, Tim and the staff to develop and implement vital health & wellness programs to benefit our patients, staff, area residents and businesses. These free informative programs and activities are offered throughout the year and feature health & wellness topics presented by area physicians, healthcare & fitness experts including SRC's physical therapy team. SRC’s volunteer outreach efforts include working with local school districts, community leaders and businesses to host health & wellness programs that benefit all members of the community. Visit SRC's Message Board on the home page for up-to-date information on our community wellness programs and activities or contact Christine at 440.230.1133 for additional information on SRC’s injury prevention, workplace safety, sports injury or balance/fall prevention programs for your business or community organization. Sports Rehabilitation Consultants is a proud co-sponsor of the North Royalton Health, Wellness & Community Expo!